Tropical North Queensland is known for its unique array of wildlife, particularly deadly critters such as the cassowary. 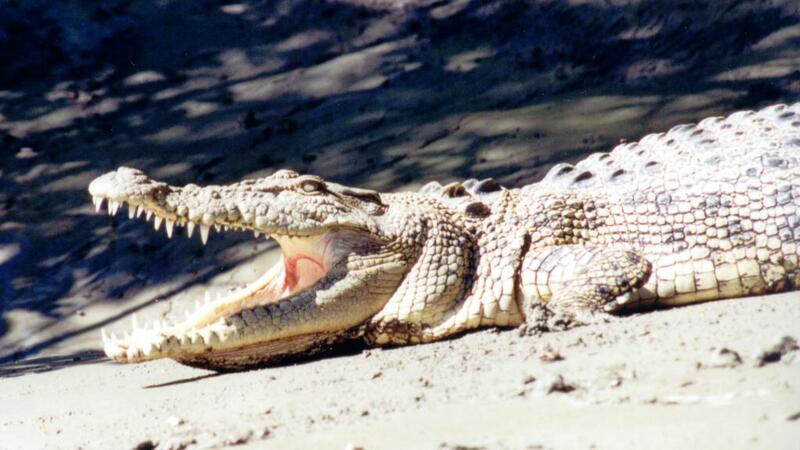 However visitors and locals have been warned against some of the larger bodies of water in Port Douglas after some resident crocodiles have been brought out by recent warmer winter weather. These cold-blooded predators cannot generate their own heat and so rely on the sun to stay warm and the recent warmer-than-average Port Douglas weather appears to have brought them out onto footpaths and yards. The world's largest on land predator and largest reptile in the world, saltwater crocodiles are formidable and opportunistic apex predators. They ambush their prey which are either then swallowed whole or drowned before being consumed. Their large size and incredible strength make them capable of prevailing over almost any animal, including other apex predators. Although crocodiles are a relatively familiar sight around Tropical North Queensland, the Queensland Environment Department have issued warnings after 4 saltwater crocodiles were found living in a Port Douglas lake near Crispins Avenue. All four were reported to be over 2m long, with the largest estimated to be over 3.5m long. The 'salties' as they are known by locals have been seen sunning themselves in a residential backyard which backs onto the lake, as well as in the lake itself and near a footpath at a popular fishing spot on the lake. Although a trap has been set and signs have been erected warning visitors of the recent sightings, not everyone has been deterred. A fisherman was spotted in the area where the crocodiles were sighted, casting a net without a care in the world. Since the beginning of the year, over 42 crocodiles have been removed from the waterways of Far North Queensland, with many pulled from creeks and beaches popular with swimmers and boaties. A fifth crocodile, reportedly up to 4m long, was also spotted in the same week, swimming at the mouth of Dickinson Inlet in Port Douglas.